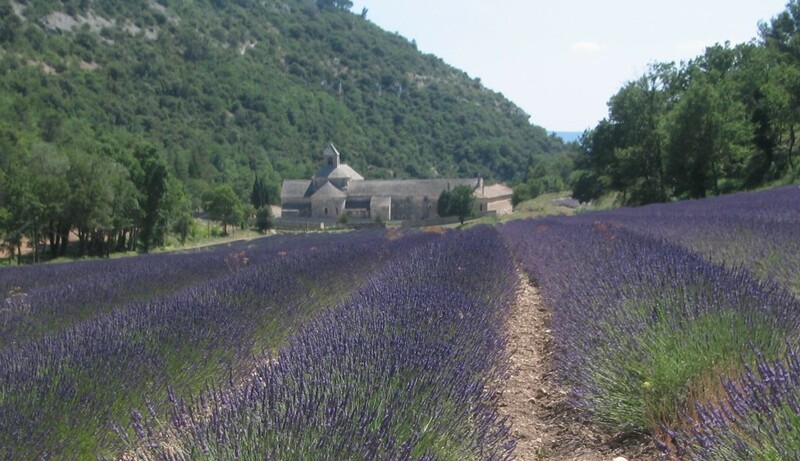 Provence’s beauty lies in its famous… landscapes, it’s here where you can enjoy the sunny, warm and dry Mediterranean climate with a glass of fresh Rosé wine. If you are a fan of Rosé, you have to take a look at Provence as it’s the world leading rosé producing region. Provence grape varieties are rich and numerous and the common ones are Grenache, Syrah, Mourvèdre, Cinsault, Tibouren and Carignan for Rosé and Red Wines; Rolle, Clairette, Ugni-Blanc for White Wines. Provence wine is versatile to pair with various cuisines and what’s better than to pair them with our local Cantonese Food. To kick off our night at IFC’s Cuisine Cuisine, we had the Château de Saint Martin – Cuvee Grande Reserve 2008 and Domaine Saint André de Figuière – Vieilles Vignes Blanc 2008 before dinner. The Château de Saint Martin is floral on the nose with a fresh and citrus palate and the Domaine Saint André de Figuière on the other hand is peachy and fragrant. Both wines are easy to drink and are great choice for pre-dinner tasting. For starter, we had the Prawns and Cod fillet with Premium Soy Sauce which is paired with Domaine de Pontfract Rosé 2009. This lovely Pink Rosé shows red cherry fruits and is a good compliment to the fresh prawns and succulent Cod fish. Next came the Braised Lobster Soup with Fresh Crab Meat and we had the Baron Gassier Rosé 2008 with it. This wine is fruity with red fruits like strawberry and cherry and when paired with the soup, the fruit flavors are further elevated, this is a difficult pairing which worked out really well. The Château d’Esclans – Whispering Angel Rosé 2008 follows and it is light salmon in colour, red fruits and vanilla on the nose with a fruity core in the mouth. The Braised Abalone with Oyster and Mustard Sauce is done nicely but the wine is too fruity for this dish. For the Angus Beef Cube with Sweet and Sour Sauce, we moved to a Red Wine from Château de l’Escarelle. Its Belles Bastilles Rouge 2006 has a nose of cherry and animal notes and on the palate, it shows dark juicy fruits and earthiness in a medium body. This is my favorite wine of the night, its complexity and juicy texture is a great pairing with the Angus Beef as the wine became more round and earthy. The last wine of the evening is the Château Sainte Roseline – Lampe de Méduse Rouge 2006. This wine has a wild animal feel on the nose, it is dry in the mouth with earthy, oak and cherry fruit flavor. This generous wine feels softer when paired with the Sautéed Rice with Seafood and Thailand Shrimp Paste. We finish off this lovely meal with Profiteroles and Chilled Coconut Roll filled with Mangoes. The sweet dessert brings to a perfect ending for this wonderful evening and hope you enjoy the moments we captured in this photo album. Cheers and look forward to seeing you all enjoying some nice Provence Wines in the future. Château d’Esclans – Whispering Angel Rosé 2008 Altaya Wines Ltd. www.altayawines…. Château Sainte Roseline – Lampe de Méduse Rouge 2006 Golden Lyca China Company Ltd….